Transform your bedroom into a classic chic retreat. 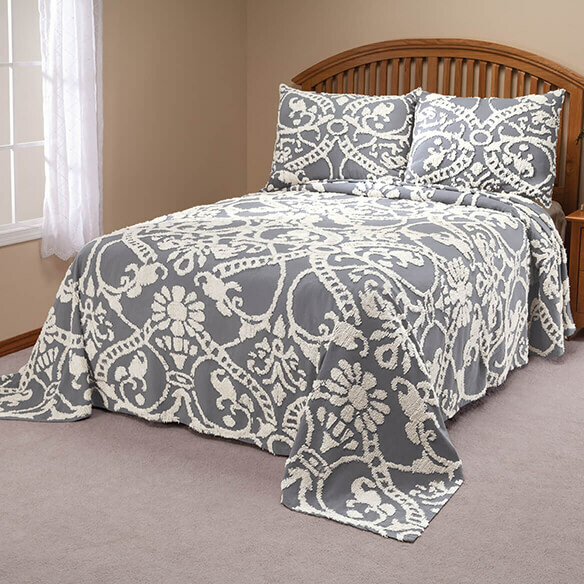 The Adele combines luxurious chenille softness with an elegant medallion and floral design to add comfort and style to your slumber. It is the color I need and looks beautiful in the picture. Cannot wait for it to arrive.